If you are planning to build a new home, chances are you have to sell your current home. This can be very discouraging when everywhere you look there are houses for sale right now. 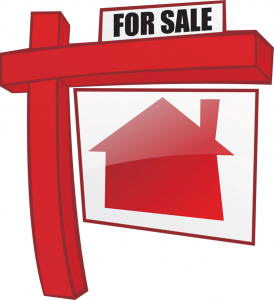 Some are for sale with real estate companies while others are for sale by owner. How can you compete with so many houses on the market? 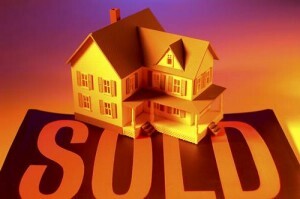 The good news for you is that many sellers do a lousy job of presenting the home that is for sale. Sometimes it’s the small things that count when trying to sell your home. Other times it is the extra effort you make and the extra muscle you put into selling your home that seals the deal. Below is a list of tips to help you stage your home to sell and make it stand out among the rest. Clear the clutter: Get rid of anything you don’t need in a room or put it in storage. A modestly filled room looks larger and more inviting than a cluttered one. Furthermore, cluttered homes and sloppy surroundings can make a potential buyer question how well you’ve maintained your home over the years. Remove personal items: Take time to remove personal effects and photos. When buyers view your home, they try to imagine themselves living there. If your home is filled with too many personal items, it makes it harder for potential buyers to imagine themselves living in the home. Look outside: The first thing a potential buyer sees in the outside of your house, which instantly creates a first impression. Freshly cut grass, potted plants on the porch and swept sidewalks look inviting making the potential buyer more interested in seeing what is inside. On the other hand, poorly trimmed shrubs or dying grass can turn a buyer away before they ever make it through the front door. Pay for a plan: Do a little research and find a home stager to visit your home. Pay them for their consulting services and then provide the muscle and elbow grease to make the changes and improvements they recommend. Main rooms first: Take the professional stager’s suggestions and work on the important rooms first. Most buyers are especially interested in the kitchen, main living areas, master bedroom and master bath. These are the rooms you definitely want to tackle. But remember, the first thing potential buyers see is the entry, so this should space should be equally important. Once the main rooms and the entry are done, make a minor changes and adjustments to the secondary rooms. Know your audience: Stage your home to attract the type of buyers that are shopping in your neighborhood. Your house should suit the demographic of buyers. If most buyers are families with children, keep all the bedrooms as bedrooms. However, if many of the buyers are singles or couples without kids, stage one of the bedrooms as a home office or exercise room. Screen appeal verses curb appeal: In today’s market, most home buyers research homes online before viewing the home in person. If you plan to post your home online, it is crucial that the house is staged and looking its best inside and out before the photos are taken. And, don’t try to get by with a cheap camera. Even a great looking home can look undesirable in a bad photo. If you’re trying to appeal to online shoppers, the photos will determine if potential buyers take the next step…viewing the house in person. Staging your home will make it stand out among the rest of the homes for sale in your neighborhood. Use these handy tips to help you stage you home resulting in a faster sale for you.